This week Jonny and I took a spur of the moment trip north to a beautiful bed and breakfast getaway. We have both been working so hard this last year, it was our first vacation in a very long time! On the trip we were going to be close to Fargo so we decided to take a stop in to visit the folks at the Unglued Market right downtown Fargo. We were introduced to the Unglued folks when we attended the Unglued Craft Fest this past year. We had a fabulous time at that fair and we were honored when we were asked if our products could be sold at the store of the same name downtown. We don’t get to travel to Fargo often so we were pleased as punch to be able to come in and see what it looked like with our own eyes. 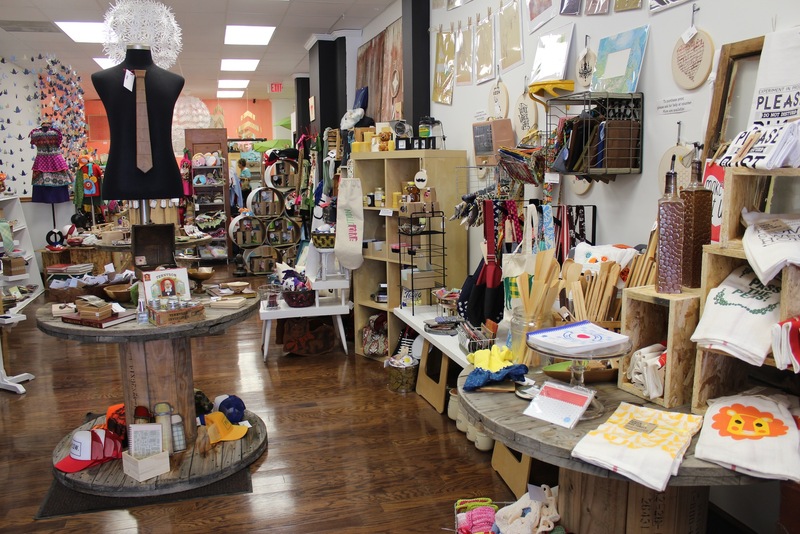 The store itself is filled to the brim with beautiful gifts made from far and wide. There is a little bit of something for everyone. 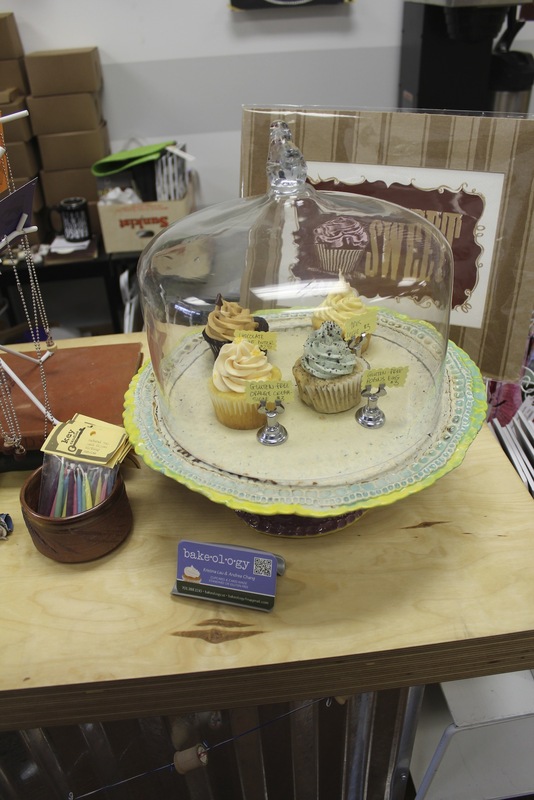 I love how Ashley, the shop owner, decorates the store in a way that I can only describe as “Cluttered-organized”. Clutorganized? There are so many different items in the store but they are shown in themes. It just makes sense when you’re in there. 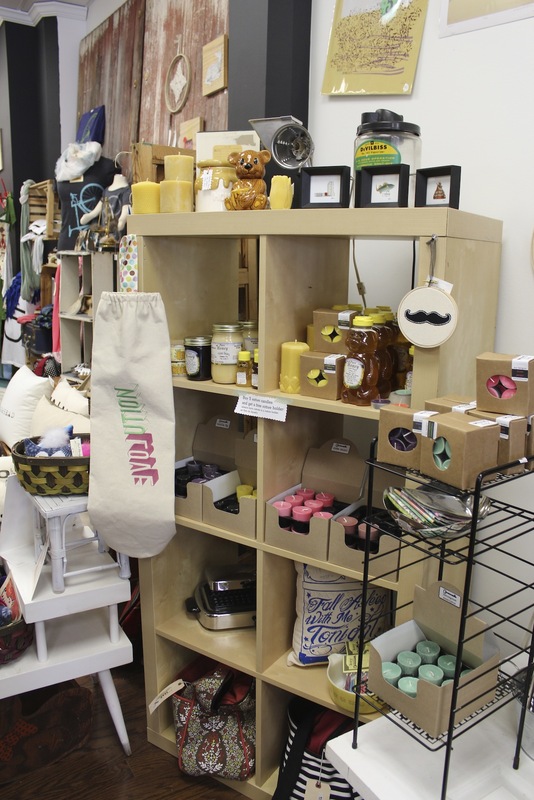 Our candles for instance are displayed in one area of the store, but our wildflower honey fragrance is set up next to the locally made honey. It flows! As a person who is majorly interested in store displays and store design, I totally get jazzed over cute display furniture. 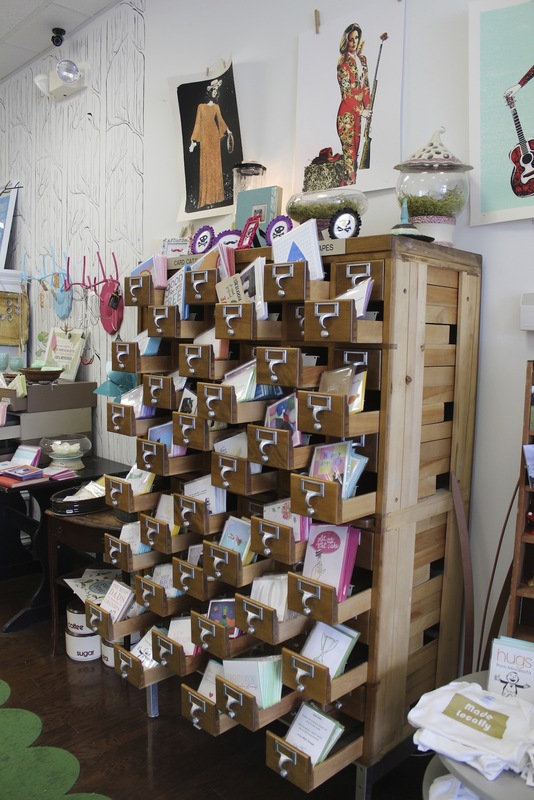 This card catalog card display is so up my ally, I would have stolen it had I the strength and lack of morals. This week we had a terrible storm here in Minneapolis. A big tree fell on our house and the power was out for a couple days, but now we are fully recovered! 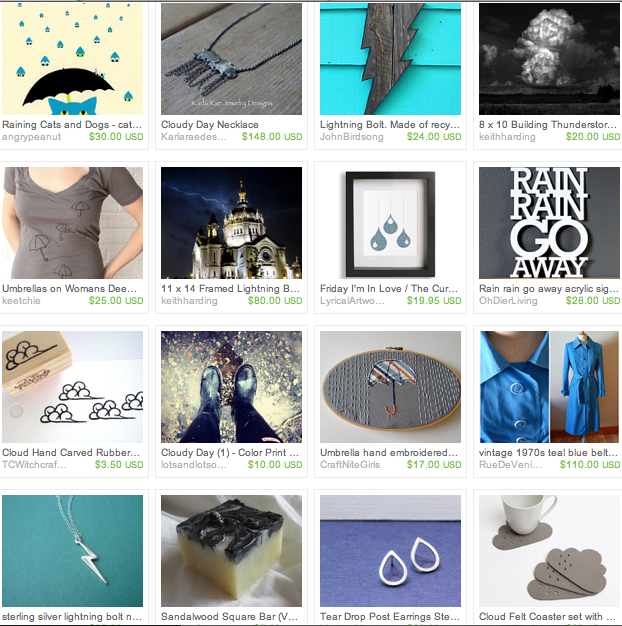 We were in a stormy mood so we made this storm themed Etsy treasury! Check it out here. As always we featured mostly Minnesotan artists. We hope all of our neighbors here in the Twin Cities are safe. Let’s hope for sunny skies ahead! This week is a wedding post! Spring is here and that means wedding bells are chiming all over. We’ve sold so many unity candles and made special orders for wedding favors, I can’t believe we haven’t shown off more wedding candleholders. This particular set was found on a wedding supply store called BHLDN. The candleholders are used as table settings and accommodate one taper candle each. This would be a really sweet addition to a table display for guests at a wedding. For those of us not getting married, I think you could absolutely use these candleholders at a fancy birthday party. They are so pretty! 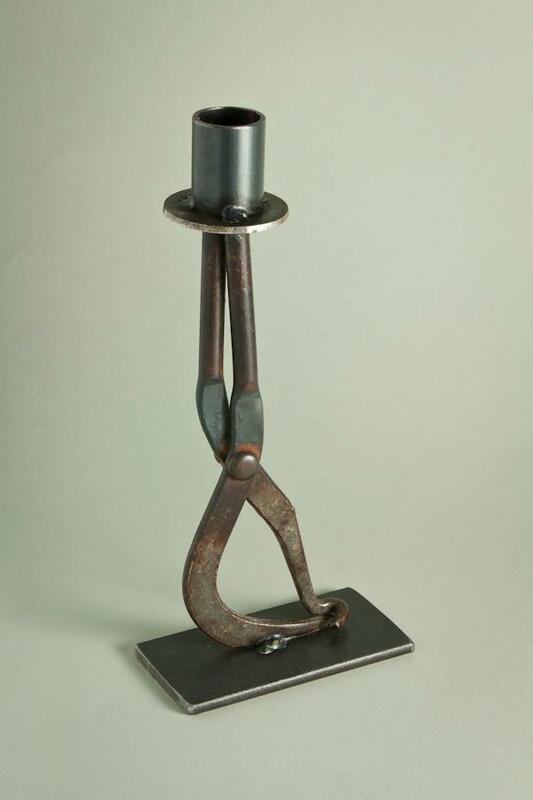 Candleholder Thursday, local artist edition! I was at a gift shop in our neighborhood recently when I spotted an interesting taper candleholder. The holder was made with an old tool and honestly before I picked it up and held it in my hand, I wasn’t even sure what it was! Upon closer inspection I found that a local artist named Marlaine Cox welded it. I don’t have a photo of the exact piece but I did find a couple examples of her work online. A candle can only be fully enjoyed if it is burned in the appropriate holder. I personally like a simple looking candle that burns well paired with a unique holder. 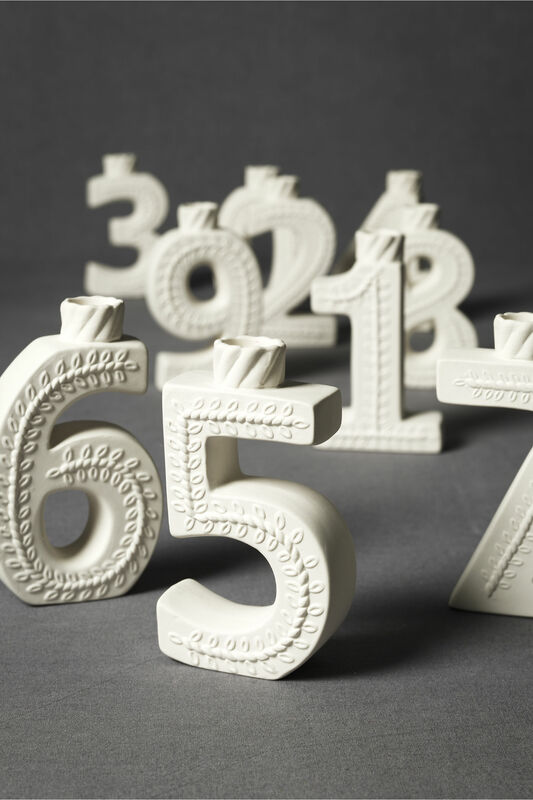 These candleholders are so quirky and have so much personality; a busy candle would be too much! Make sure to check out her website. We are so proud to live in such a creative city with so many talented artists. Minneapolis pride! This glass had led an interesting life so far and I wanted to bring it back to its original purpose, which was to host a candle. We filled this candle with our Rose Mint fragrance, cleaned it up and gave it to a friend as a gift. Usually we make this fragrance a pink color but we wanted the design to pop so we left the wax white. We hope after the candle has burned down that our friend will let us fill it again for her. When we used to work at our old candle store we used to offer a service to refill candle cans for a discount. I was so happy to support reusing containers! These were tins that would have otherwise gone to the dump and people were saving a few dollars at the same time. We are living in age of earth conscious people and that fills me with joy. Another candle maker we know at Often Wander makes beautiful candles in vintage containers. These glass pieces might otherwise be overlooked in a home but now they can be part of a fantastic display. 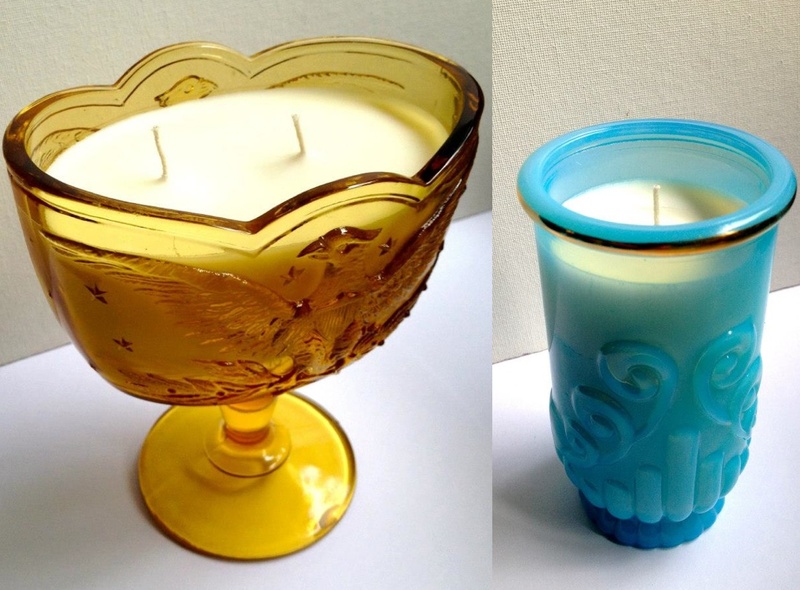 You just can’t find candle containers like this being made today! We ‘re sending props to Sarah in San Diego for her lovely creations. If you have any candle containers that are burned down make sure not to throw them out! They can be cleaned and reused. If you’d like them to be refilled please feel free to contact us and we would be happy to see what we can do. Bright Sun Candles is a family owned candle company in Saint Paul, Minnesota. After supplying the Twin Cities with beautiful soy candles they have decided to stop production and focus on new things. 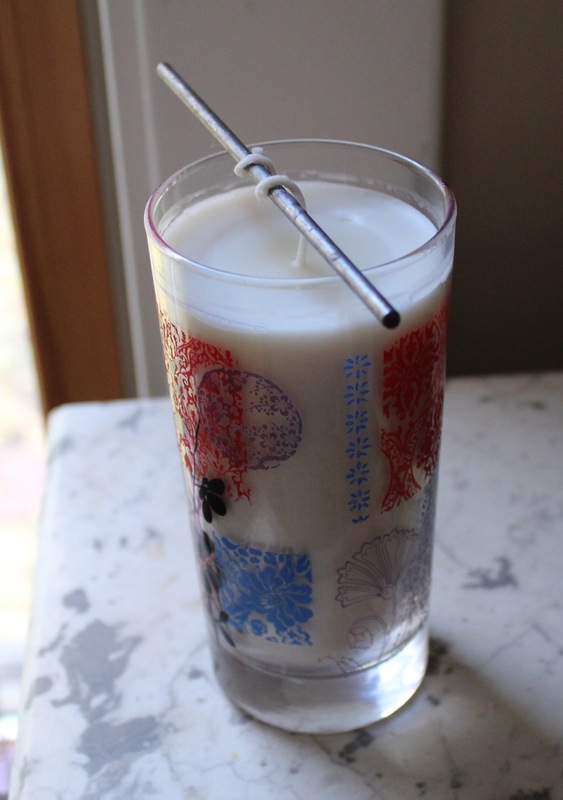 They are offering 60% off the rest of their stock if you use the coupon code “fin60” at their website www.brightsuncandles.com. If you enjoy soy candles you should get in on this deal! We wish everyone at Bright Sun Candles the best!